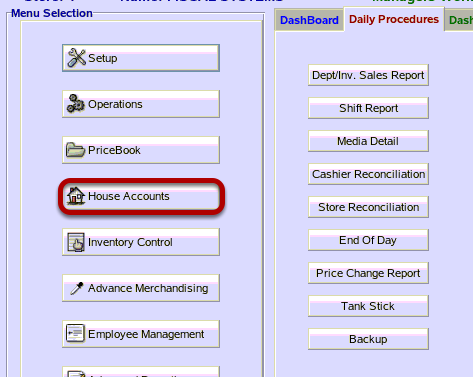 TravStar1 Point Of Sale SystemManager's Work Station House Account ManagementHow Do I Make a Payment on a House Account to All Charges within a Date Range? 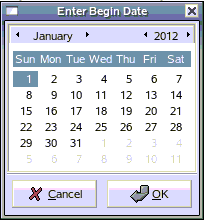 This lesson will teach you how to make a payment on a House Account for a certain date range. 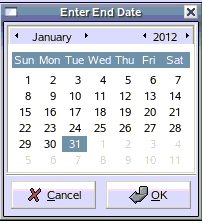 In this lesson we are paying all charges within a certain date range. (2) Click on the "AllPay" button. Click on the begin date. Click on the end date. 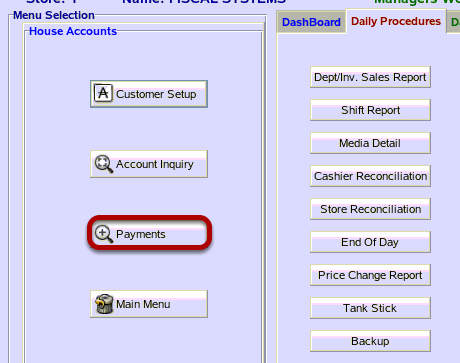 (1) Notice that your payment now shows up in the payment column for each invoice. Click on the "No" button to complete the payment. 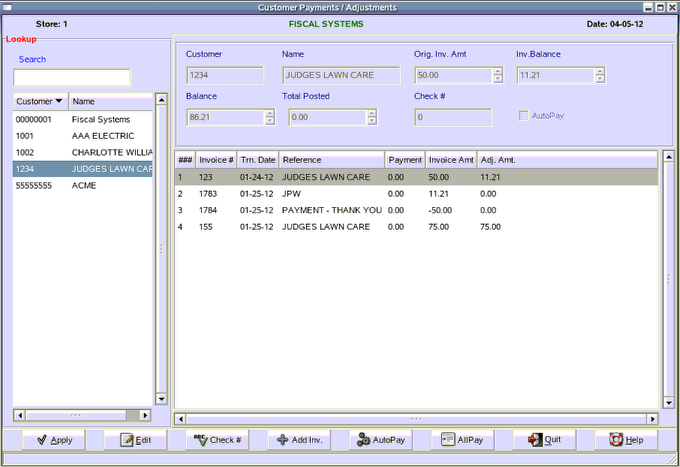 Since "No" was selected, the system shows each payment against the invoice that is paid off on the Customer Payments / Adjusts screen. Also notice the Inv. Balance had adjusted in the top right corner of the Customer Payments / Adjusts screen. 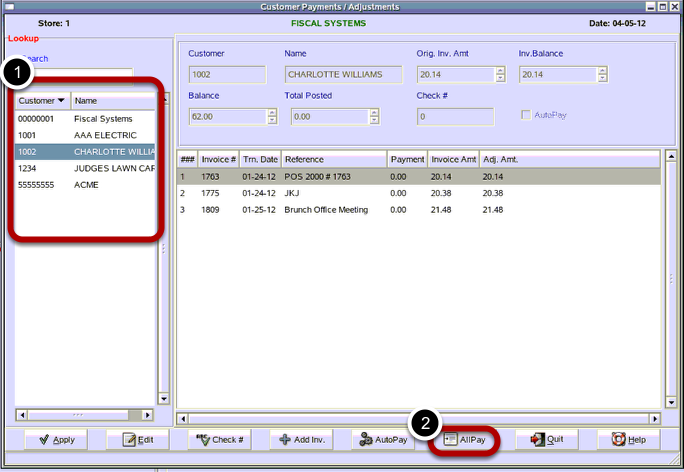 Now all invoices within the range will have payments applied to them. The Adj. Amt. 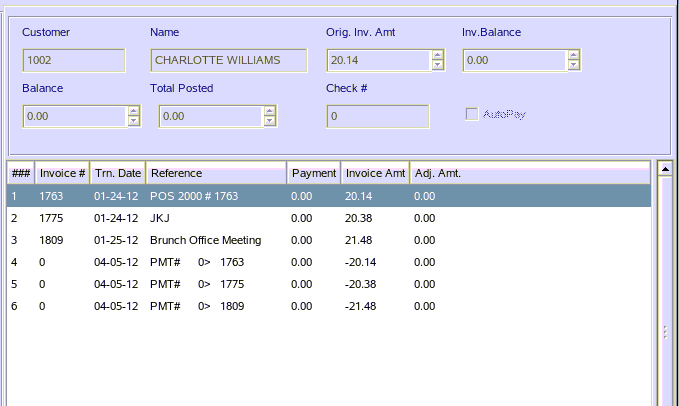 column shows a 0.00 balance for all invoices within the range. Prev: How Do I Make a Payment on a House Account to One Invoice? Next: How Do I Make a Payment on a House Account for a Specific Amount?